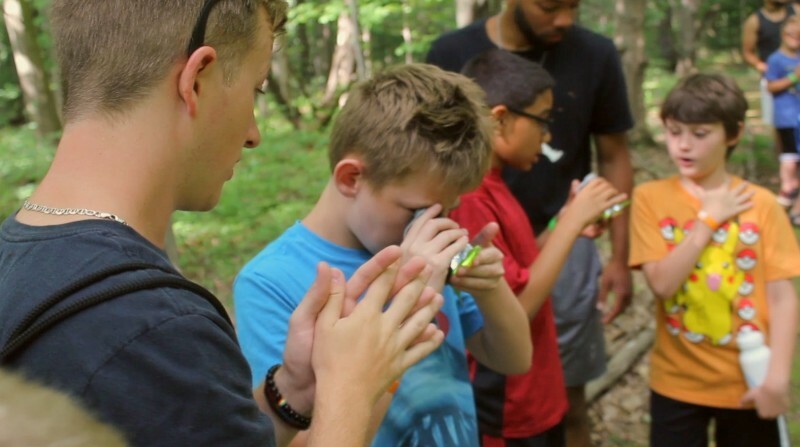 Camp Blodgett takes Grand Rapids-area middle school students into the natural environment to help them discover a passion for STEM subjects. 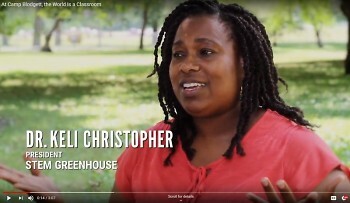 How do you instill a love of science, technology, engineering and math (STEM) into middle schoolers, especially those who come from difficult backgrounds and under-resourced schools in and around Grand Rapids? Camp Blodgett’s answer: Take them outside. The STEM Academy at Camp Blodgett is a one-of-a-kind program that combines academic coaching with a summer camp experience on the coast of Lake Michigan. The curriculum, designed by Dr. Keli Christopher, a Ph.D. in agricultural engineering, helps students build their confidence in a wide range of STEM subjects from biology to robotics. The STEM Academy receives funding from Heart of West Michigan United Way. It’s part of United Way’s focus on middle school STEM education. “It makes me feel very proud to reach the kids that we’ve been able to reach with United Way’s capacity support. We would have not been able to grow to this number if it weren’t for United Way’s support,” says Lucy Dyer Joswick, executive director of Camp Blodgett. “The wonderful part about United Way is that it’s all of us. It is not just folks making decisions in a board room. It is really all of us that are contributing to this campaign,” Joswick says.